At the New Orleans hotspot Palace Café, Sommelier Barry Himel pairs the delectable andouille-crusted fish with a crisp Albariño. Pairing wine with the Creole and Cajan elements of New Orleans cuisine is an unique challenge. Some dishes demand the crisp acidity of a white wine, while others steer toward the rugged spiciness of a red. Take the mouthwatering sensations of Palace Café’s andouille-crusted fish with cayenne butter sauce. 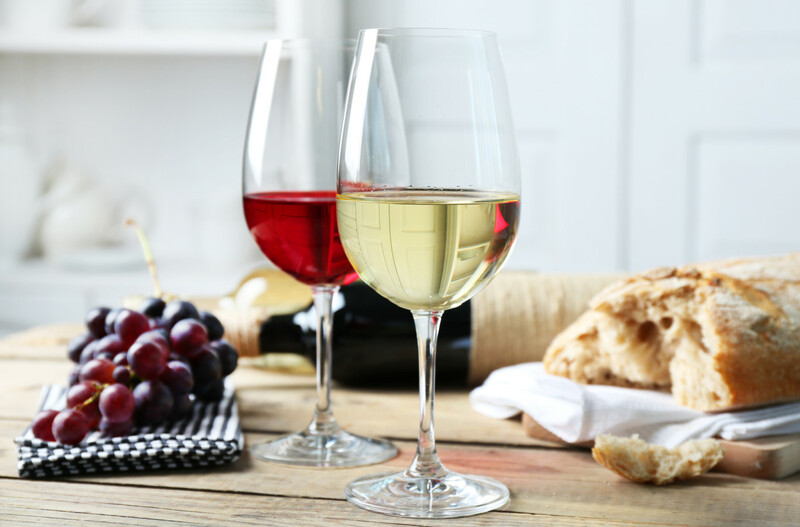 “During the warm summer months, a wine with crisp acidity and soft fruit pairs well with the spice from the cayenne beurre blanc and the pork crust,” says Barry Himel, of Palace Café, who opts to pair the dish with an Albariño. “The cooler season, though, brings about different feelings,” Himel says. In the winter months, he pairs the delectable dish with a red. Touriga Nacional, Touriga Francesca, Tinta Roriz and a Duoro red from Portugal are among his favorites. To make cayenne butter sauce: Reduce hot sauce by 1/3 over medium heat. Reduce heat to low and whisk in cold butter a few pieces at a time. Whisk continuously until all butter has been added. Keep sauce warm over low heat while preparing the fish. To make andouille-crusted: Grind andouille sausage in a food processor. Sauté ground andouille and onion in 2 tablespoons of olive oil over medium heat until sausage is lightly browned and onions are translucent. Purée in food processor. Add breadcrumbs and pulse until incorporated. To make chive aïoli: Purée chives and parsley in a food processor. Add yolks and pulse until well mixed. Slowly add oil, mix in mustard and lemon juice. Season with salt to taste. Aïoli should have a thin mayonnaise-like consistency. Refrigerate. Preheat oven to 350°F. Season fish fillets on both sides with salt and pepper. Preheat 3 tablespoons of oil in an oven-safe skillet over high heat. Sear the top side of the fillet for about 2 minutes, then flip fillets and drain excess oil. Coat fillets with andouille crust. Place in a shallow baking dish and 5-10 minutes, or until fish is thoroughly cooked and breadcrumbs are toasted. To finish: Ladle cayenne butter sauce onto each serving plate. Place andouille-crusted fish on sauce and drizzle with chive aïoli. Garnish with chives.